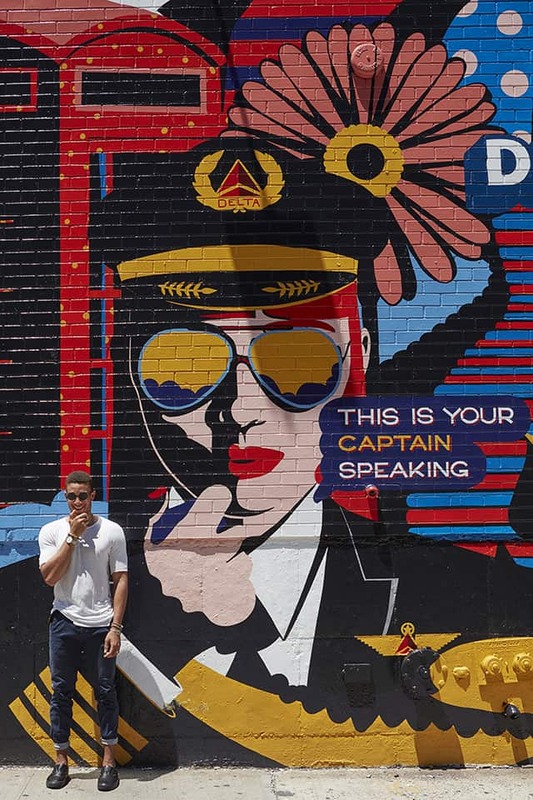 Posting an Instagram carousel from Delta's new 'Pilot Talk Wall' could win you a trip to your ideal destination. 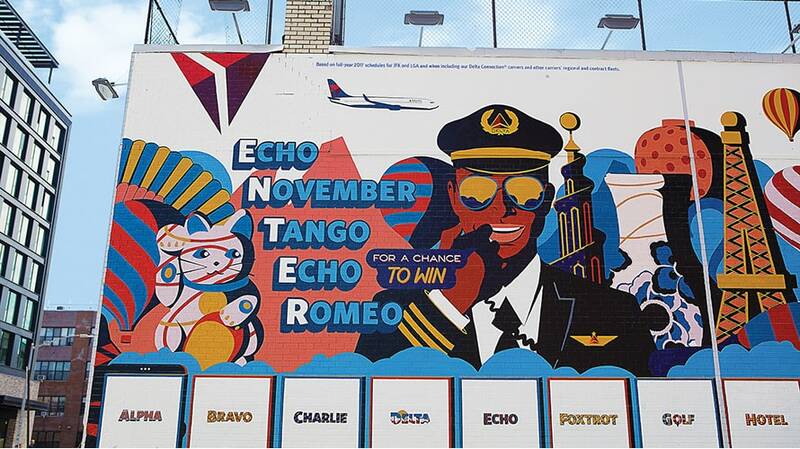 Delta’s Selfie Wall, which debuted in Williamsburg last year, was an engagement goldmine thanks to its clever concept of creating backdrops that would make you look like an international adventurer in your dating bio. “World travelers are more likely to be swiped right,” announced the wall, whose painted brick facades admittedly weren’t likely to fool anyone. 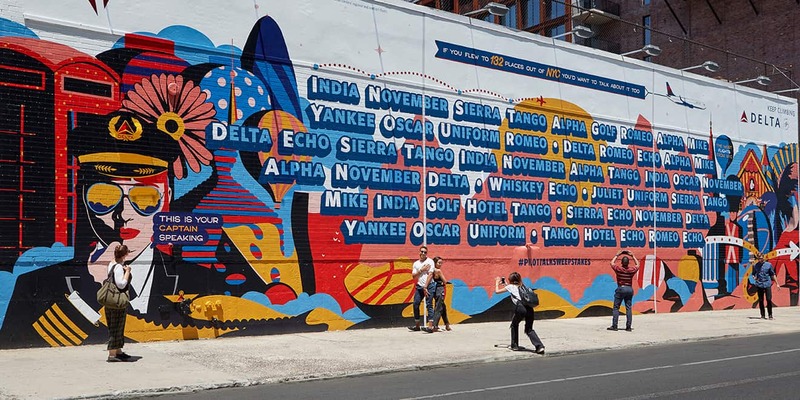 Now the wall—a creation of Wieden + Kennedy New York—has a new look, this time featuring pilot lingo through the lens of artist Karan Singh. The out-of-home (or, as the agency is calling it, “Oscar-Oscar-Hotel”) effort offers to send some lucky Instagrammers to a destination of their dreams, as long as it’s one of the 132 cities where Delta flies from New York City. 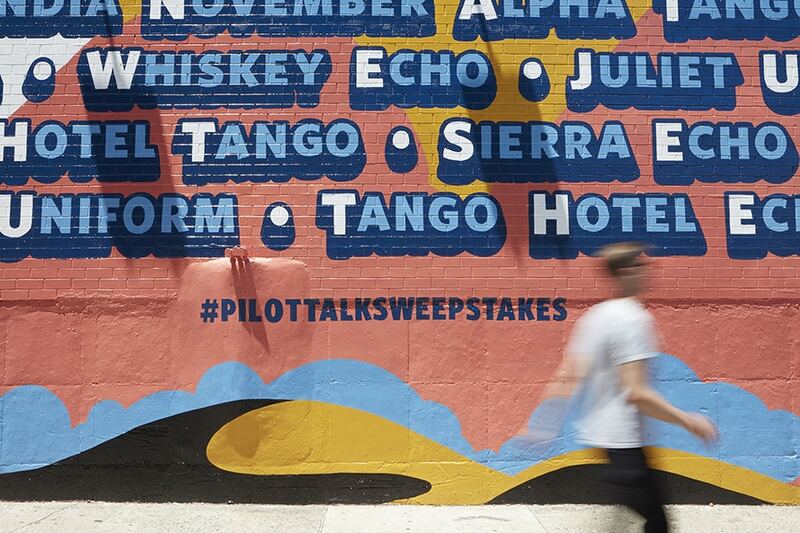 Aspiring travelers and pilot-talkers can find the wall at North 10th and Wythe. 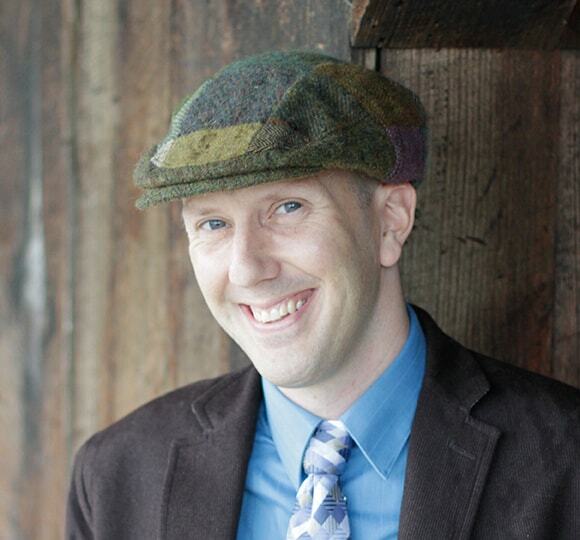 The entry method, while a bit more complicated than your usual selfie, is actually pretty fun. Using Instagram’s photo carousel feature, you spell out the name of your ideal destination one letter at a time. 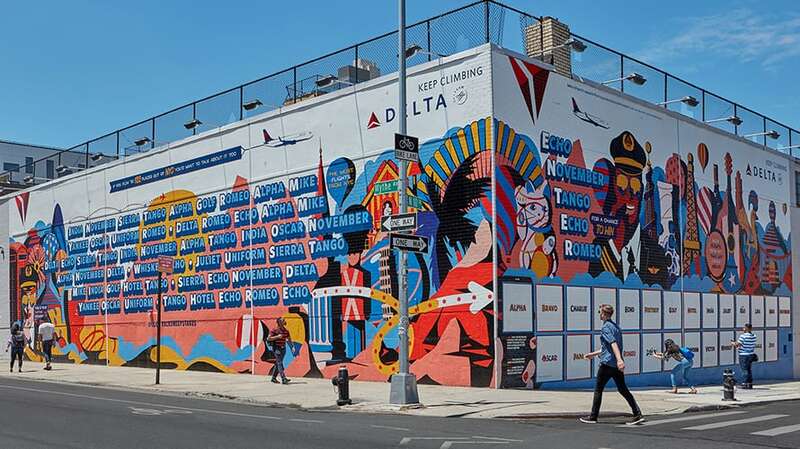 (So, for London, you’d post a gallery of six images from the wall, spelling out “Lima-Oscar-November-Delta-Oscar-November.”) If you prefer a quicker gallery, you can just post the three letters from the destination’s airport code. The #PilotTalkSweepstakes will run through July 22, with one winner selected at random each week and given a pair of round-trip tickets. So if the earlier Selfie Wall helped you find romance, perhaps this one will send you on a romantic getaway? If so, I’m afraid brand etiquette requires you name your first child Tango-Alpha-Yankee-Lima-Oscar-Romeo. Sorry, I don’t make the rules. All photos courtesy of Wieden + Kennedy New York.